Low rates, easy highway access and free Wi-Fi help the Economy Inn Hot Springs appeal to budget-conscious guests. 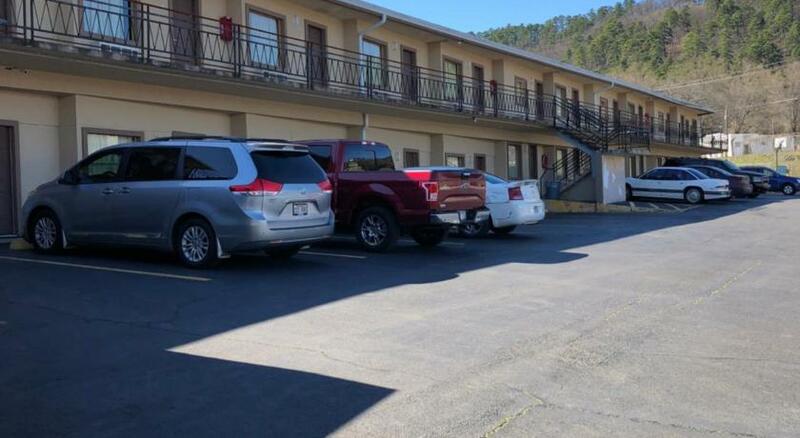 All 50 rooms at the two-story Economy Inn Hot Springs offer air conditioning, free Wi-Fi, cable TV, microwaves and mini-fridges. The front desk is staffed 24-hours, and there are barbeque facilities on-site. Pets are allowed. Parking is free. Hot Springs National Park is a four-minute drive from the Economy Inn Hot Springs, and Jaycee Park is less than two miles away. The Arkansas Alligator Farm & Petting Zoo is four miles from the property. Hot Springs Memorial Airport is also four miles away, and Little Rock National Airport is 54 miles.